Broken Hearted Toy: Won't You Please Come To Chicago? Looking back on the number of years I’ve been interviewing performers, my favorite moment came during a telephone conversation with Graham Nash. I was writing a feature on him for the Illinois Entertainer, and mentioned that he seemed equally comfortable writing a heartfelt love ballad or a protest song about the mistreatment of whales. Nash then described how the inspiration for “To The Last Whale” came to him while he and David Crosby were sailing on Crosby’s boat, and one of the magnificent beasts came to the surface nearby. My interview with Nash was only a half hour long; I felt like I could listen to his tales for hours. 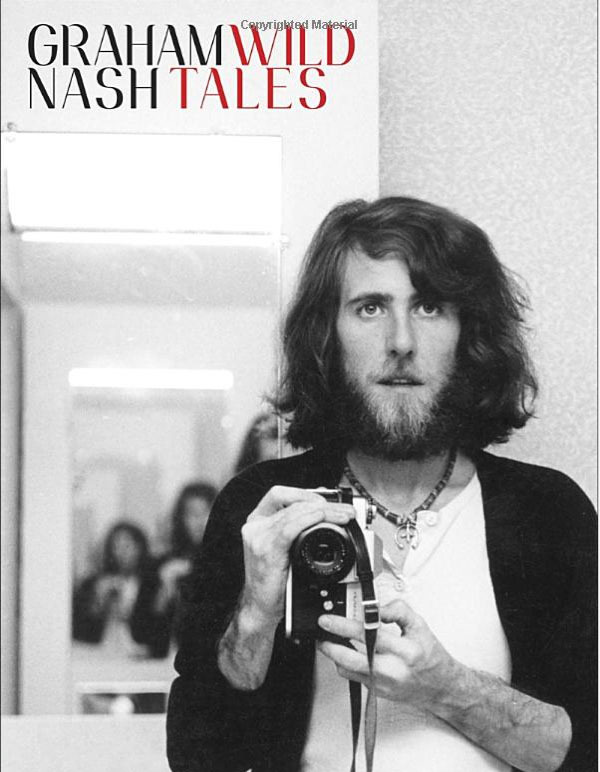 Next week, Nash will be sharing a great deal of his perspective on protest music, the British Invasion, the Woodstock generation, and the various women he’s fallen in love with over the years. He’ll be discussing his new autobiography, Wild Tales: A Rock And Roll Life (currently available for pre-order on his website and Amazon) with author Bob Spitz on Monday, September 16th at the Library Of Congress in Washington, D.C. A book signing session will follow afterward. I’d like to think Nash will be promoting his book in Chicago and other cities, but he might have trouble finding enough time. He’s also embarking on a solo tour titled An Evening With Graham Nash that will visit various cities on the East and West Coasts. Some dates have already sold out. Then there are the Crosby, Stills, Nash and Young gigs at the 27th Annual Bridge School Concerts at Shoreline Auditorium in Mountain View, CA on October 26th and 27th. And if that isn’t enough to please Graham Nash fans, there will be a new Crosby, Stills, Nash and Young live box set coming out in early 2014.